Overage captain Cole Carter struck for three goals as the Mississauga Steelheads took a 6-2 win in Sarnia. The Trout pull into first place in the Central Division with their sixth win as Carter has now scored in seven of his nine games this season. Acquired from the Kitchener Rangers last season, Carter scored once in the first period and twice in the second to give the Steelheads the steam they’d need to get past the Sting. Now in his fourth season, the 20-year-old product of Orleans, Ont. played in his 200th career regular season games this past weekend and has 14 points (10-4-14) through nine games in 2018-19. 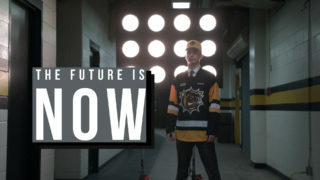 2019 NHL Draft prospect Arthur Kaliyev scored the overtime winner in fine fashion, toe-dragging around an opponent before beating Oshawa’s Cole Ceci to give the Bulldogs a 6-5 road win. Kaliyev’s second of the evening was part of a three-point performance, giving the 17-year-old 16 points (9-7–16) through 10 games this season. 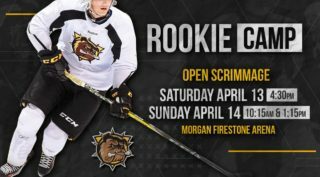 The native of Staten Island, NY helped the Bulldogs win an OHL Championship this past spring. He recently competed in the 2018 USA Hockey All-American Top Prospects Game in St. Paul, Minn. 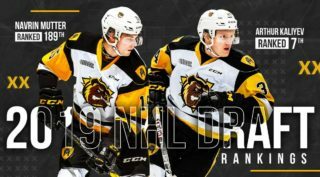 He was Hamilton’s second round pick in 2017. Oliver Castleman stepped up on Sunday. The recently-turned 19-year-old Gloucester, Ont. native had two goals and an assist and was a plus-4 in Niagara’s 5-1 road win over Sudbury. Castleman set up Philip Tomasino on the power play midway through the first period before scoring before the frame expired. He added another goal in the final minute of the second period as the IceDogs improved to 5-2-2-0. 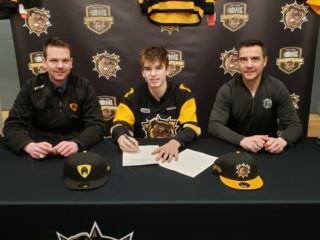 Originally passed over in his Minor Midget season, Castleman impressed with the Casselman Vikings Jr. B team a year later, prompting the IceDogs to select him in the fourth round of the 2016 OHL Priority Selection. Now in his third season, Castleman has nine points (4-5–9) in as many games.